The weather has been somewhat erratic and unforgiving of late, tormentous heat wave for the last 2 weeks or so making the days go by in an utmost unbearable manner and then came the torrential rain yesterday afternoon. Despite the downpour, the cool-down it provided was only short-lived and temporal as it is back to another stuffy and hazy day. In need of something cold and refreshing, I made another favorite Peranakan chuchi mulot of mine for some instant relief. Looks like I’m on a dessert making spree! 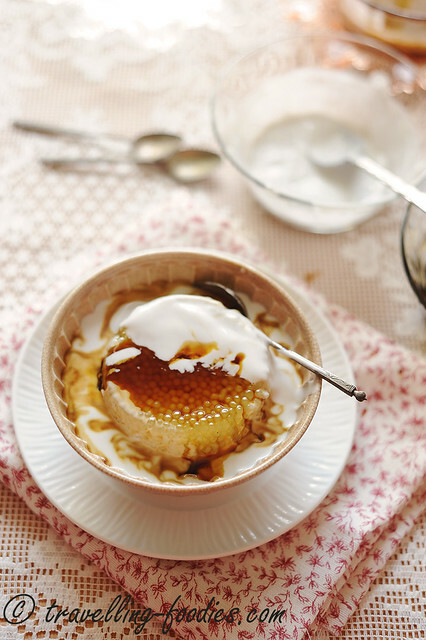 Sago Gula Melaka is incredulously easy to prepare and can be made way ahead. Just barely 30 min of work last night before going to bed and I’m ready to indulge in all that santan and gula melaka goodness this afternoon! Apom Berkuah is one of my favorite kuehs and I try to make it whenever time avails. 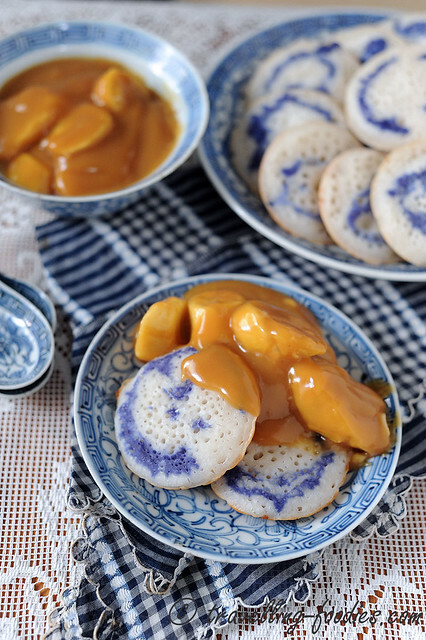 Despite being a Peranakan signature “cuchi mulot“, I believe that it has its roots in Indonesian cuisine where it is known by another name Kue Serabi, and variations likening surabi or srabi. Even amongst Peranakan communities in Singapore, Malacca and Penang, the pronunciation also differ slightly from Apom Berkuah, to Apom Bokwa and Apom Bengkua. To the Malays from Kedah, Malacca and Sabah, it is called “Kuih Serabai“，with a slightly phonological shift in the terminal syllable, where it transits to become a diphthong in place of the short monophthongal vowel, a linguistic nuance we commonly observe across many Bahasa Melayu to Baba Patois lexicographical pairs. The word “Apom” which was derived from “appam“, a south Indian pancake popular in Kerala and Tamilnadu, is sometimes spelt as “apong” instead. Despite the numerous names, one thing remains the same for this kueh, and that is how delicious they are! So let’s see how we make them!